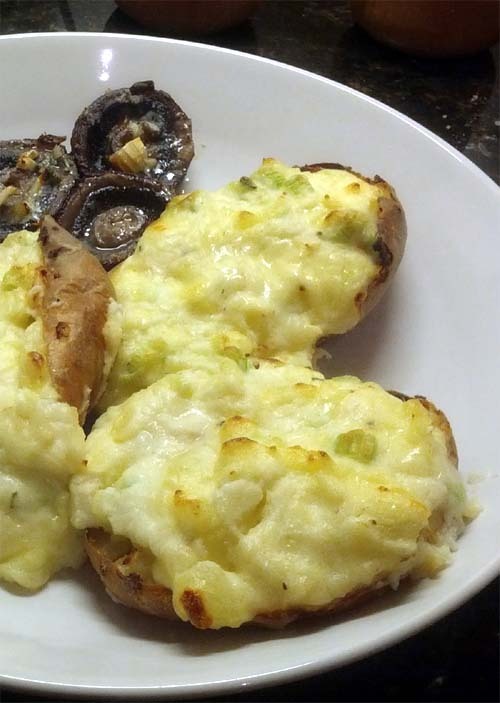 I wanted to try a new way of making twice baked potatoes. Before baking the potato in oven, microwave (e.g. Panasonic Genius Microwave Oven) them first for 5 minutes per potato (depending on the size). Then bake in oven at 350 deg F for 1 hour. Let cool to touch so that you may slice off the top, scoop out the potatoes, mash 'em with butter, sour cream, and salt. Re-stuff them back onto the emptied skin and bake again for 15 minutes at 400 deg F.
I can eat them plain (i.e. just sour cream, butter, and some salt) but others prefer seasoning. 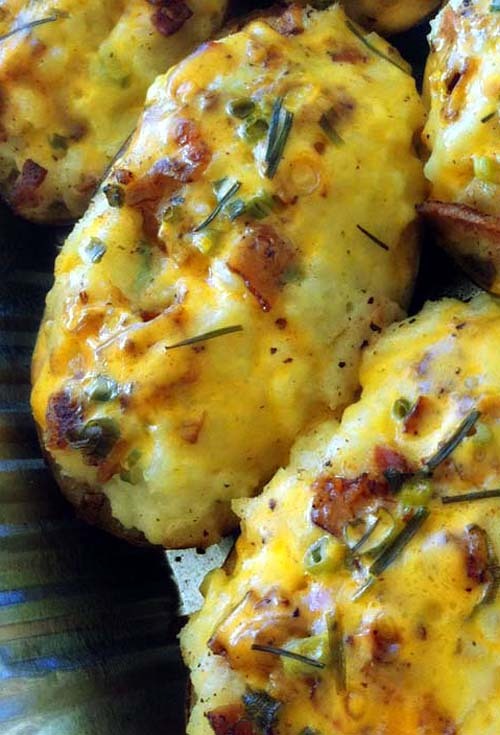 Still, others love their twiced baked potatoes loaded just as someone from church brought to one of our barbecues. If I recall correctly, these were made with sharp cheddar, bacon, and green onions, along with butter and sour cream.